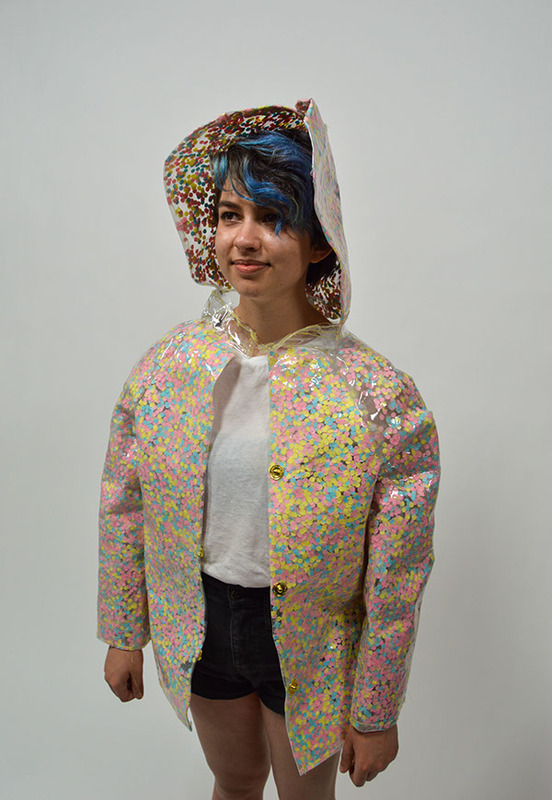 This garment is a project from my Collage and Sculptural Surface class. 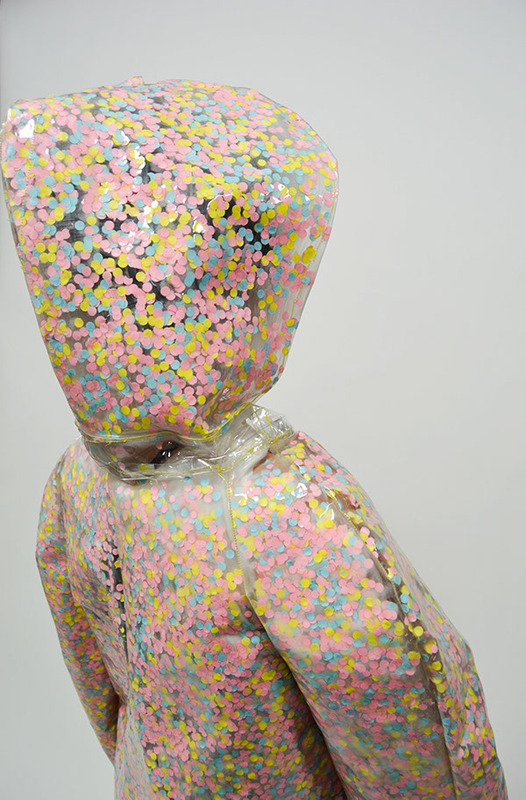 I was tasked with creating a surface out of hundreds of non-precious objects. 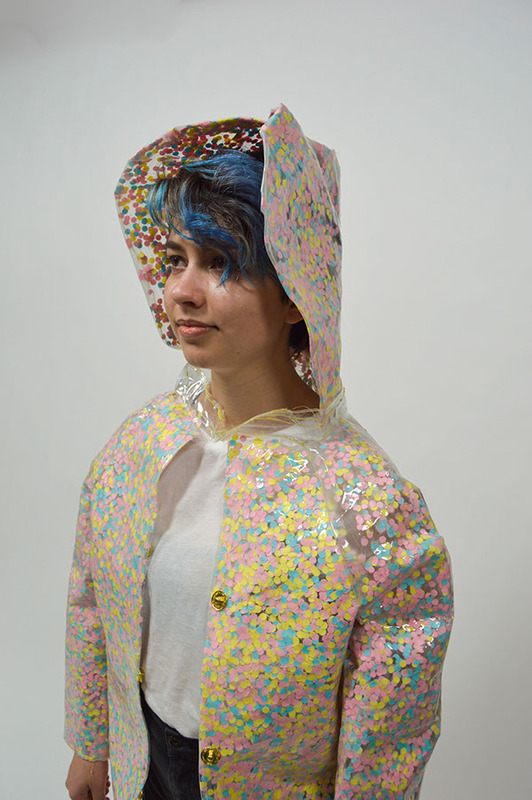 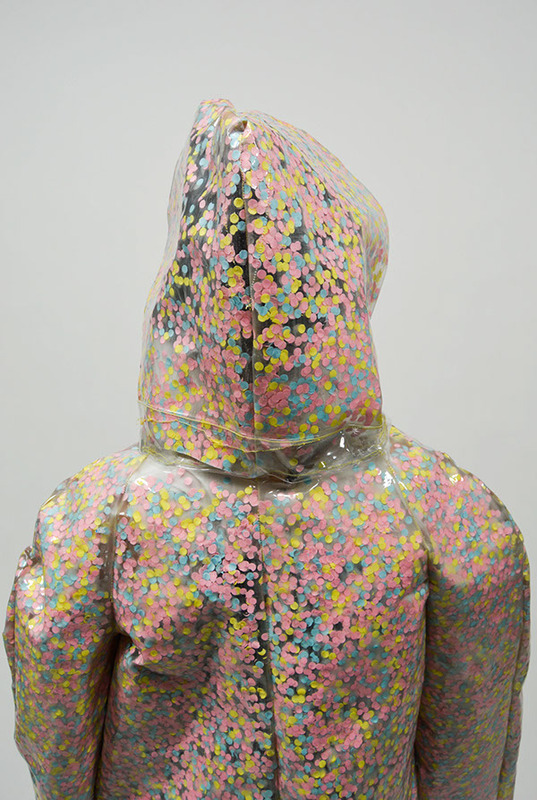 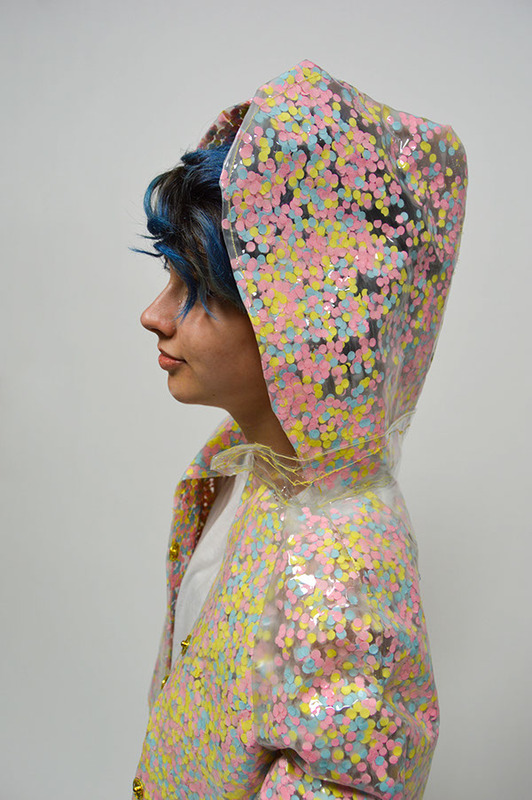 This playful garment was created from hole-punched printer paper and clear vinyl, sewn into a waterproof jacket. 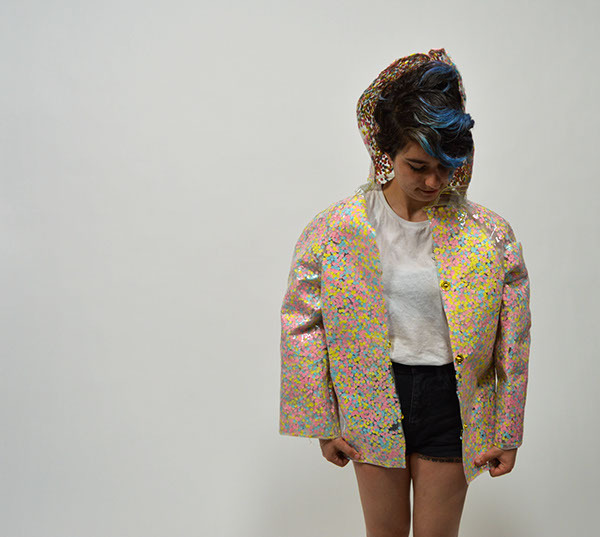 Documentation provided by Timothy Halligan.